All 46 U.S. attorneys have been purged by the President. They were abrubtly asked to resign in a move that can only consolidate Donald Trump’s power. 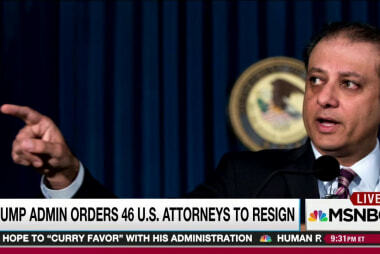 Preet Bharara, U.S. Attorney for the Southern District of New York, who has been asked personally by Donald Trump to stay on, was asked to resign with all the rest. When he refused he was fired. Bharara would have been responsible for investigating Donald Trump’s operations in New York.